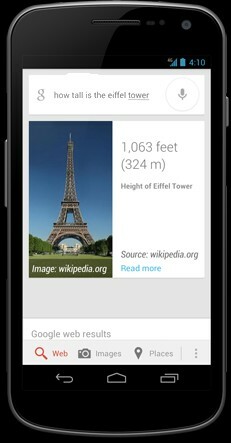 Android Jelly Bean comes with a Google widget that lets you find the name of a song you're listening to. Just like Shazam or SoundHound, except that the widget links to Google Play, so you can quickly buy the song if you're in the US. The widget's name is Sound Search, but the most prominent message you're likely to see when using the widget is "What's this song?". The internal codename for the app seems to be "Google Ears". Hopefully, Google will release Sound Search as a standalone app or integrate it with Google Play Music and the Voice Search app. Update: The widget is now in Google Play Store. 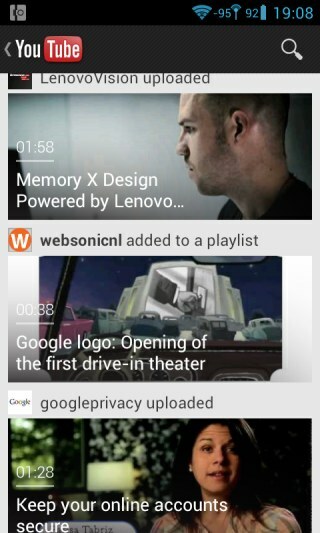 The YouTube app for Android has been recently updated. 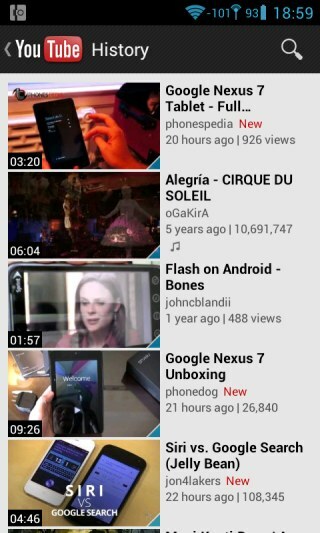 Other than an interface borrowed from the Google+ app, YouTube 4.0 brings the seek bar to the portrait mode, updates the "history" page to show the videos you've watched on any computer and lets you preload the videos from your subscriptions when your device is charging and also using WiFi. 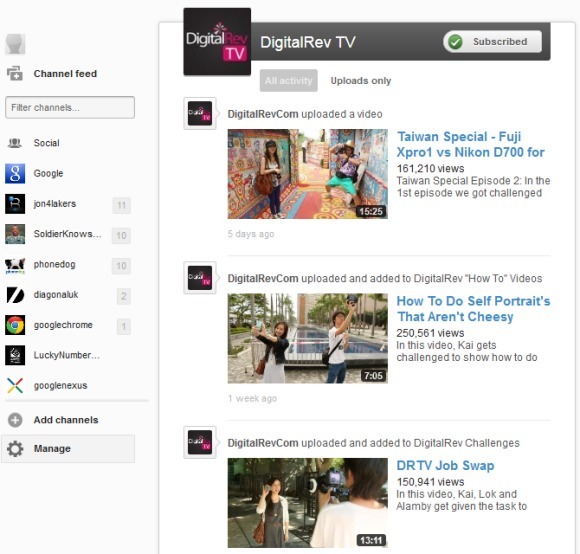 The subscribed channels are now displayed in a long list, but the links to YouTube's popular sections are buried at the bottom of the list. If you have many subscriptions, you'll have a hard time finding them. YouTube now has a unified history page. That means that the desktop history page includes the videos you watch on your Android device and the history section from the Android app includes the videos you watch when you're using a computer. While it's not a great idea to watch videos in the portrait mode, it's nice that you can read the comments or the video's description and watch the video at the same time. The previous version of the Android app didn't display a seek bar in the portrait mode, but this issue has been fixed in the latest release. To cache the videos from your subscriptions or the videos from the "watch later" list, go to the "settings" section, tap "preloading" and enable "preload subscriptions" or "preload watch later". Note that the videos are downloaded only when the device is charging and is also using WiFi. Another downside is that you can't play videos when your device is offline. "You'll still need a connection to play the video, but once you do it's smooth sailing through the latest from your subscribed channels and Watch Later queue," informs YouTube's blog. 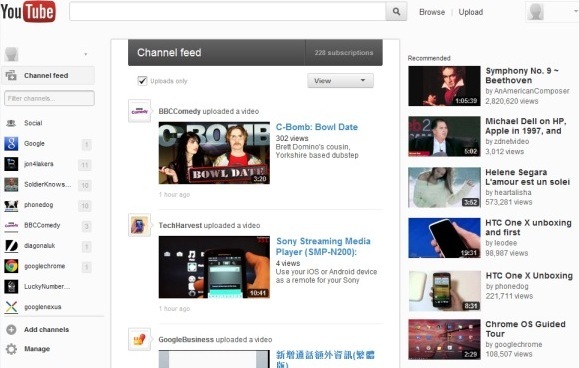 The YouTube app is now also a remote that lets you play videos on Google TV and other supported devices. "While the video's playing on TV, with the new YouTube app or mobile website you'll be able to use your phone to find the next great video to watch, comment, like or subscribe. We're working to make this broadly available across connected TVs and living room devices," according to YouTube. The latest update to YouTube's app is only available for Android 4.0+ devices, but YouTube promises that it will backported to older Android versions. Update: this feature is no longer available in Google Play Store's desktop site. 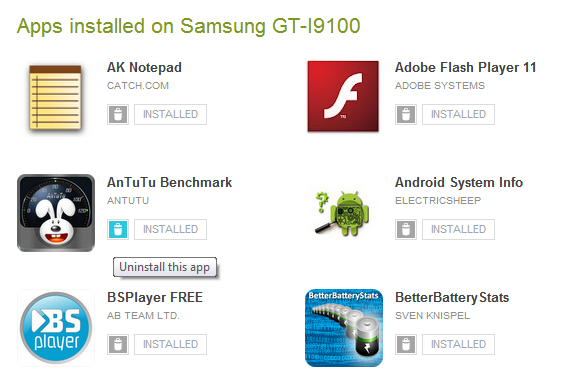 You can only install apps remotely, but not uninstall them. Now you can uninstall Android apps using an iPhone, an iPad, a Windows Phone phone, a different Android device, a laptop or any other computer. Just open the Google Play site in your favorite browser, click "My Android Apps", select your device and click the trash icon next to the app you want to uninstall. If you've disabled the option that allows Google Play Store to automatically update your apps or if some of them aren't yet updated, you can also the "My Android Apps" page to update them manually. What if you've accidentally uninstalled an app and you want to install it again? Check the "My Account" page to find the list of apps you've recently installed. Please note that when you uninstall an app, the settings and the app's data are removed and you can't get them back (easily). Use the "disable" feature from Android 4.0+ to "freeze" an app, while preserving its settings and data. 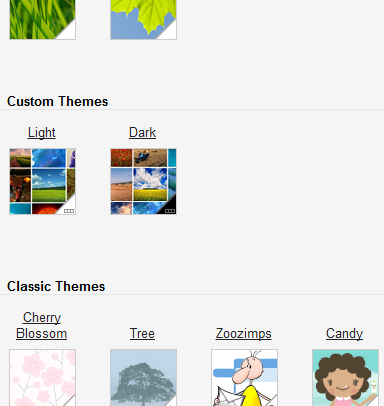 As promised, Adobe announced that the Flash player app won't support Android 4.1 (Jelly Bean). Adobe will continue to provide updates for the existing users, but starting from August 16 the Flash player app will no longer be available for new users in the Google Play Store. "Beginning August 15th we will use the configuration settings in the Google Play Store to limit continued access to Flash Player updates to only those devices that have Flash Player already installed. Devices that do not have Flash Player already installed are increasingly likely to be incompatible with Flash Player and will no longer be able to install it from the Google Play Store after August 15th," informs Adobe. An obvious consequence is that "there will be no certified implementations of Flash Player for Android 4.1," so no Android Jelly Bean device will bundle the Flash player. When you update to Android 4.1, the Flash player will still be installed, but Adobe recommends users to uninstall it because "the current version of Flash Player may exhibit unpredictable behavior". Some Jelly Bean users report that the Flash plugin still works well. Now that Adobe's app will no longer support future Android versions and the mobile Chrome has no Flash support, Android will lose an important advantage and Flash's relevance will continue to diminish. It was a bumpy journey and, even though the user experience wasn't great, it was nice to know that you can open a page even if it uses Flash. What's old is new again. Back in 2008, Google announced offline support powered by Gears in Google Docs. At that time, you could view and edit text documents offline in Firefox and Internet Explorer. 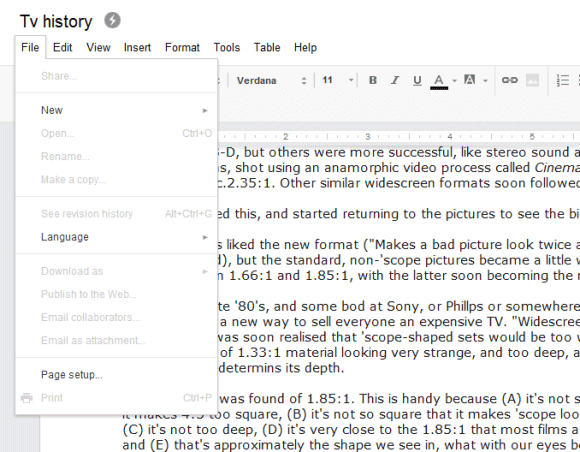 Four years later, you can once again edit documents offline. Gears has been discontinued in 2010, the Google Docs integration has been removed and now the offline support is native. Unfortunately, it only works in Chrome and you also need to install a Chrome app. 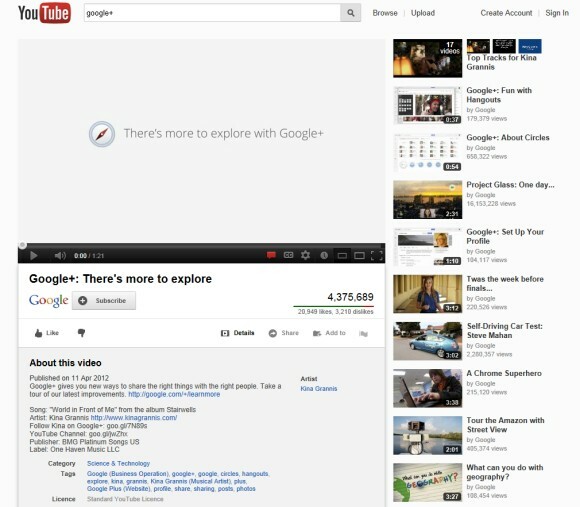 When you're offline, Google shows a message and a link that lets you switch to the offline Google Drive/Docs interface. You can only view documents and spreadsheets and only edit documents. Google Docs features that require an Internet connection are removed when you're offline, but most of the basic features are available. Some of the missing features: sharing files, downloading them, printing files, revision history, inserting images and drawings, the research sidebar and the translation feature. Once you're online again, Google Docs shows a message and a link for switching to the regular Google Docs interface. The transition is not seamless, since you have to load a new page. "To start editing offline, first set up offline access from the gear icon at the top of your Documents List. Then, next time you lose your connection you'll be able to either open a document from your list of offline files or create a new one. Any changes you've made while disconnected will sync with the online version in your Documents List when you regain your connection to the Internet," explains Google. 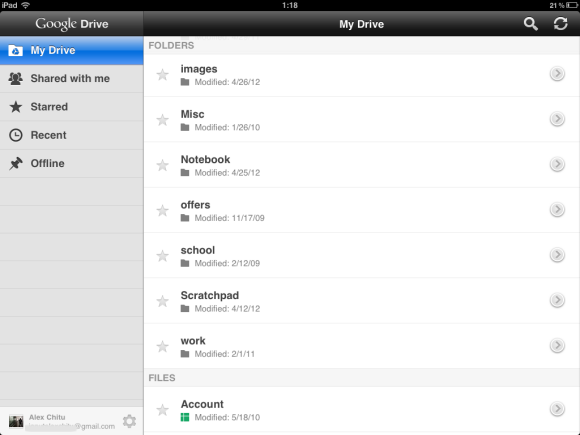 Google has released a GDrive application for iOS (iPhone, iPad and iPod Touch) and it's pretty good. You can access all your files, search for them, share them with other people, preview them or open the files with other applications or download the files, so that they're available offline. The image search feature is really impressive: it uses Google Goggles to analyse your images and associate them with relevant keywords. The app doesn't include the document editing feature from GDrive for Android and neither the file uploading feature. The Dropbox app has a better tablet interface, since it allows you to open files and still see the list of files in a sidebar. 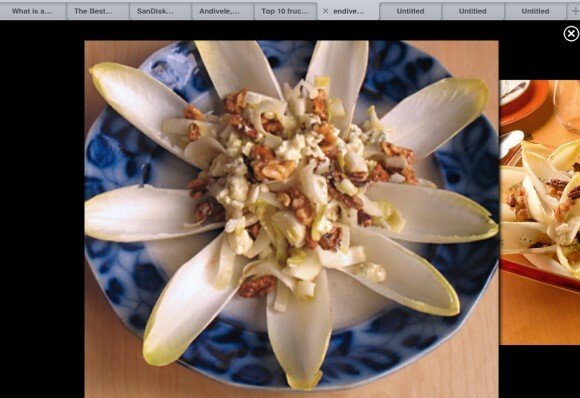 Dropbox has a better UI for photos and shows a small thumbnail next to each photo. Hopefully, Google will improve the app, add the missing features from the Android app and make the interface a lot better. Chrome has more than 310 million active users and it's the most popular browser in the world, according to Google's data. It's available for Windows, Mac OS, Linux, Chrome OS, Android and now iOS. 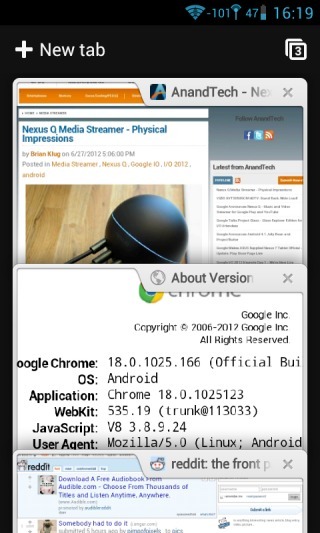 That's right, you can install Chrome on an iPhone, iPod Touch or iPad that runs iOS 4.3+. So why use it? It borrows the interface of Chrome for Android, it syncs bookmarks, passwords and visited pages, it doesn't limit the number of tabs you can open, it has an incognito mode, it comes with the powerful Omnibox and integrates Google Voice Search. Chrome for iOS is more about the ubiquity of Google's browser and being able to access your bookmarks and the pages you visit from almost any device. 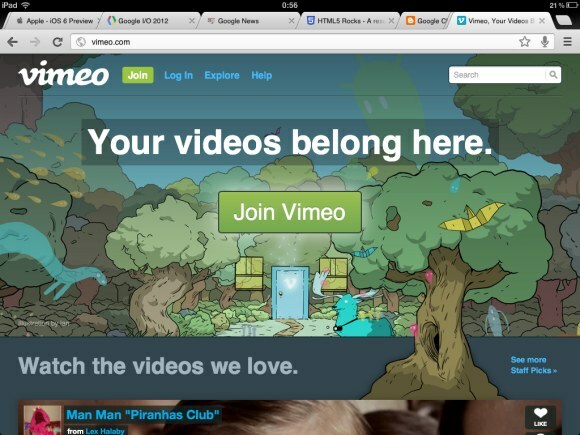 My other complaint is that Chrome for iPad uses a tab overflow feature that's annoying and far from intuitive. When you open many tabs, you'll notice that Chrome collapses exactly the tabs you've recently used. When Google released Chrome 4 years ago, few people would have expected that the new browser will become more popular than Firefox and Internet Explorer. Chrome's popularity continues to grow and the new release for iOS will allow iPhone and iPad users to get a glimpse of Google's browser. Those who want more can buy an Android device. 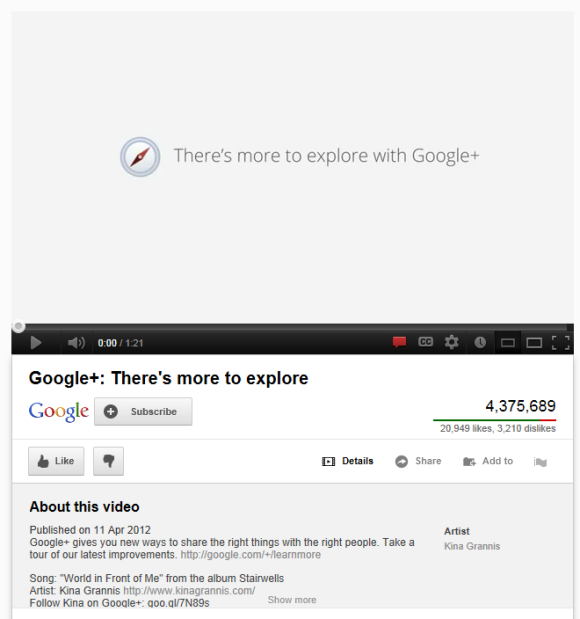 It's rare to hear that a Google service or app is out of beta, but this used to happen very often a few years ago. Chrome for Android was launched in February and it came with an innovative interface, a great way to manage tabs and a feature that keeps all your bookmarks, visited pages and passwords in sync with the desktop Chrome. Now Chrome for Android is out of beta, which means that it should be more stable and more reliable. For some reason, the Chrome mobile app is not in sync with the desktop app, so the latest stable version is 18.0.1025.166, which corresponds to the desktop versions from April. I've been using this browser since March, when I was able to install Android 4.0 on my Galaxy S2 (Chrome requires Android 4.0). It's really fast, the deck-of-cards interface is intuitive, you can open as many tabs as you want and the browser saves the list of tabs and even the part of the page where you stopped reading. Other than the lack of Flash support, my main complaints are that Chrome for Android uses a lot of resources (internal storage, RAM, battery) and there's an annoying gesture that conflicts with horizontal scrolling. You can "swipe from the right edge of the screen to the left to go to the next tab in the list," but the same gesture can also be used for scrolling. Chrome for Android is the default browser for the Nexus 7 tablet and probably all the future Nexus devices will include it. Chrome replaces the old "Browser" app and the most important thing is that Chrome will constantly be updated, since it's a regular app from Google Play. 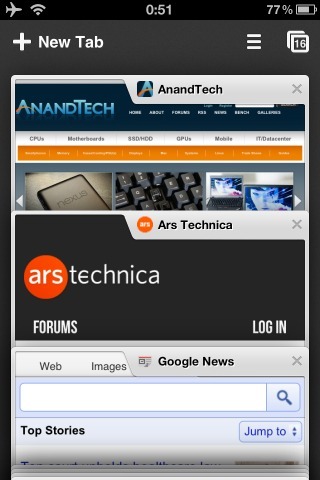 It will be interesting to see if Android OEMs will bundle the Chrome app or continue to develop their own browsers. 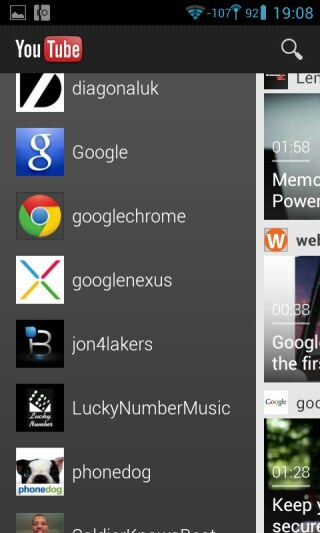 Even if your new Android phone or tablet will have a different browser, you can always install Chrome from Google Play. Unlike iOS, Android lets you set a default browser and you can even disable the bundled browser. You can call them flyover maps, 45-degree aerial images or 3D maps. In an effort to show that its mapping software is still cutting-edge, Google updated the Google Earth app for Android and added new 3D imagery for many cities (mostly in the US): Boulder, Boston, Santa Cruz, San Diego, Los Angeles, Long Beach, San Antonio, Charlotte, Tucson, Lawrence, Portland, Tampa, Rome and the San Francisco Bay Area. A similar feature is available in Apple's new maps app for iOS 6. "Using 45-degree aerial imagery, we're able to automatically recreate entire metropolitan areas in 3D. This means every building (not just the famous landmarks), the terrain, and any surrounding landscape of trees are included to provide a much more accurate and realistic experience. (...) We'll continue to release new 3D imagery for places around the world over the coming months; by the end of the year, we aim to have new 3D coverage for metropolitan areas with a combined population of 300 million people," explains Google. 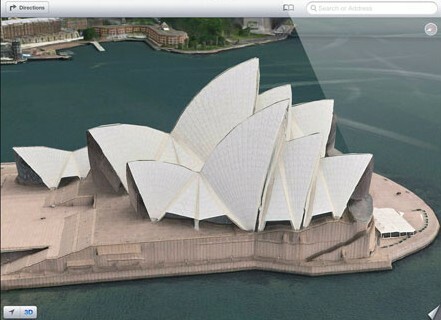 The new features is available in Google Earth 7.0 for Android and it requires a device with a dual-core CPU. An updated app for iOS will be released soon. If Android ICS (4.0) was about a completely new user interface, Jelly Bean (4.1) is about refining that interface, improving the performance and adding more features. 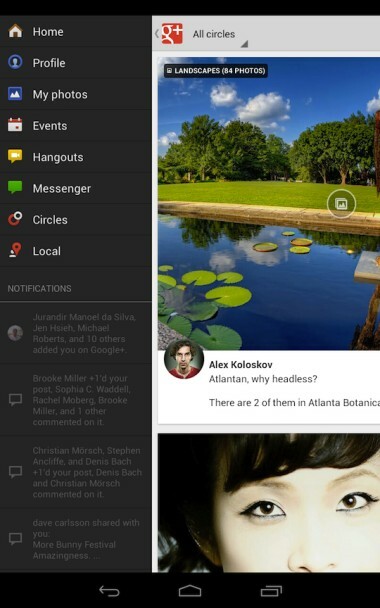 Google's Project Butter made Android 4.1 more responsive. The interface is smoother, scrolling feels faster, transitions and animations look better. "Android 4.1 reduces touch latency not only by synchronizing touch to vsync timing, but also by actually anticipating where your finger will be at the time of the screen refresh. This results in a more reactive and uniform touch response. In addition, after periods of inactivity, Android applies a CPU input boost at the next touch event, to make sure there's no latency," explains Google. 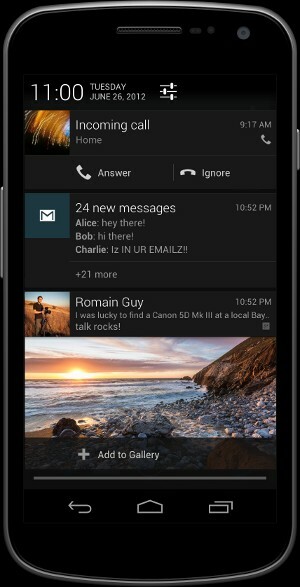 Jelly Bean comes with rich notifications that can include more content and buttons. Notifications can be expanded and turn into powerful widgets so you can preview photos, share news articles, snooze alerts without opening an app. Android's keyboard now predicts what you are about to type. "The language model in Jelly Bean adapts over time, and the keyboard even guesses what the next word will be before you've started typing it." The nice thing is that you don't need an Internet connection to see the suggestions. Google even made Android's text-to-speech feature work offline, but only for English. Google's search app has a new interface that does a better job at handling simple questions. Instead of displaying a list of search results, Google only shows the Knowledge Graph OneBox that includes an answer, a thumbnail and a link to the source. Voice Search has also improved: you no longer need to use predefined commands, it understands natural language and it speaks back to you, just like Siri. Sometimes you don't need to type a query to find relevant information. Your Android phone knows a lot about you and can help you solve problems without even asking it. Google Now is a new app that offers a lot of useful information depending on your location, your calendar events, your Google queries and more. It shows weather reports, "how much traffic to expect before you leave for work, when the next train will arrive as you're standing on the platform, or your favorite team's score while they’re playing". Android 4.1 also adds support for Google Cloud Messaging, encryption for all paid apps, smart app updates (only what's changed is downloaded), multicast DNS-based service discovery (applications can easily find other wireless devices), USB audio, multichannel audio (including native AAC 5.1), audio chaining, as well as an interface for choosing where to play media. There are many audio-related improvements and one of the main reasons for that is a new Android device called Nexus Q. It's a streaming player that costs $299, is made in the US and bridges services like Google Play and YouTube with your speakers and your TV. It comes with a 25W amplifier, it has a dual-core ARM CPU, it runs Android 4.0 and it has a lot of ports (micro HDMI, optical audio, Ethernet, jack speaker, micro USB). It's pretty heavy (2 pounds/923 grams), looks like a sphere and has LEDs that change their color when you're playing music. It's a combination of Apple TV, Boxee Box and Sonos players, but it's rather expensive and limited. Google also launched Nexus 7, a 7-inch Android tablet manufactured by Asus that will compete with Amazon's Kindle Fire. It has a 1280x800 IPS display with Gorilla glass, a Tegra 3 CPU, 8/16 GB of internal storage, 1 GB of RAM, a front-facing camera and it weighs 340 grams, but the device is not about specs. Nexus 7 integrates with Google Play, which now also offers magazine subscriptions, TV shows and movie purchases. Nexus 7 costs $199 (the 8 GB version) or $249 (the 16 GB version), it's Wi-Fi only and it doesn't support SD cards. Nexus 7 looks like a strong contender for the most popular 7-inch tablet and it's probably the cheapest off-contract Android device that's worth buying. Both devices will ship in mid-July, but you can pre-order them from the Nexus store, assuming that they're available in your country. Nexus Q is only available in the US, while Nexus 7 can be purchased if you are in the US, Canada, UK or Australia. "Nexus 7 comes preloaded with some great entertainment, including the movie 'Transformers: Dark of the Moon,' the book 'The Bourne Dominion,' magazines like Condé Nast Traveler and Popular Science, and songs from bands like Coldplay and the Rolling Stones. We've also included a $25 credit to purchase your favorite movies, books and more from Google Play, for a limited time," mentions Google. When will Jelly Bean be available? "Starting in mid-July, we'll start rolling out over-the-air updates to Galaxy Nexus, Motorola Xoom and Nexus S, and we'll also release Jelly Bean to open source," explains Google. Another good news is that, starting with Android 4.1, there's a PDK (platform development kit) that's shared with OEMs a few months before each Android release so that they have more information about the new features and start updating their software early. There are now more than 400 million Android devices and 1 million devices are activated every day. Google Plays hosts more than 600,000 apps. 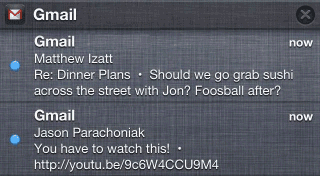 When Google released an iOS app for Gmail, many users complained that the app didn't integrate with the notification center from iOS 5. The Gmail app didn't support banner notifications and the messages weren't included in the notification center or in the lock screen. The latest update fixed these issues and the Gmail app finally has proper notifications. "Plus, notifications are now incredibly fast - up to 5x faster than in the previous version," informs Google. Another improvement is that you can choose an alternate address when you're composing a message, just like in the desktop interface. If you've configured Gmail to allow you to send messages from other email addresses, you can just click the "from" box and pick a different address. The same feature is also available in the mobile Gmail site. The app no longer requires you to enter your credentials periodically. "You can still choose to sign out of your account, but you won't be automatically logged out after a certain period of time has elapsed." Unlike the Gmail app for Android, the iOS app uses a custom version of the mobile Gmail site and adds features like notifications and image upload. It makes sense to use this approach because Google can improve the app without releasing new versions, but the app is less responsive than a native application and doesn't include the standard iOS controls. Download link: Gmail for iPhone/iPod Touch/iPad. Now that Apple's iOS 6 has a maps app that no longer uses Google Maps, many people wonder if Google will release its own app. After all, the built-in maps app has been developed by Apple and it didn't include many Google Maps features. Maybe Google wanted to keep features like navigation Android-only, maybe Apple focused on the new app and ignored the old app. One thing is clear: the Android app for Google Maps was a lot better than Apple's app. The Next Web reports that Jeff Huber, Senior VP at Google, said that Google "looks forward to providing amazing Google Maps experiences on iOS." Google will compete with the built-in maps app so it will have to include features that used to be limited to Android like vectorial maps, offline maps, navigation, integration with Google Places and new features like the "fly-over" maps. Google says that it will add "3D models to entire metropolitan areas to Google Earth on mobile devices," but an app that combines Google Maps, Google Earth and Google Local would be more useful. Upgrading the Google Earth app is much easier than building a new app and the existing users won't have to install another application. Google Earth is the second most popular Google app for iOS, after Google Search. Google Music now has a trash page that includes all the songs you've deleted. You can find the page by clicking the "options" icon and selecting "Music trash" from the menu. The songs are permanently deleted after 28 days (why not 30 days like in Gmail? ), but you can also manually do that. There's also an "undelete" button for restoring music files. It's interesting to notice that the deleted music files are no longer synced with Google Music Manager. As Google explains, "once you permanently delete [a song], the content and related data (e.g., stored play counts) will be disassociated from your account. There may be some delay before our systems fully process your removal request. In addition, if this content was purchased from Google Play, the only way to retrieve it is to repurchase the content." 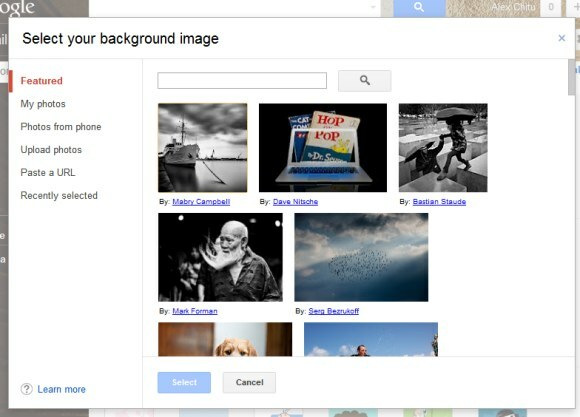 This seems to be a recent addition to Google Image Search's tablet interface. When you tap an image, Google maximizes it and hides the details placed at the bottom of the page. 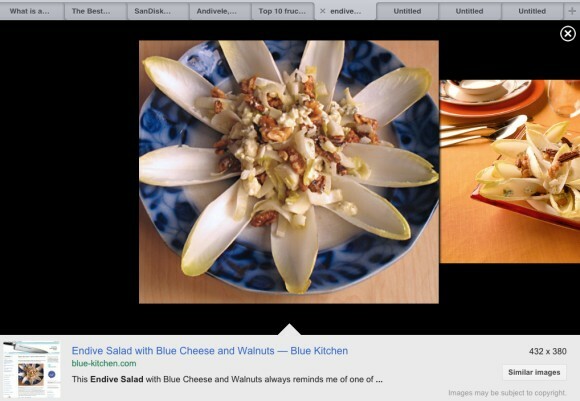 The nice thing is that you can continue to check the other image search results using the maximized mode. I've only tested this feature on an iPad, but it should also work on an Android tablet. 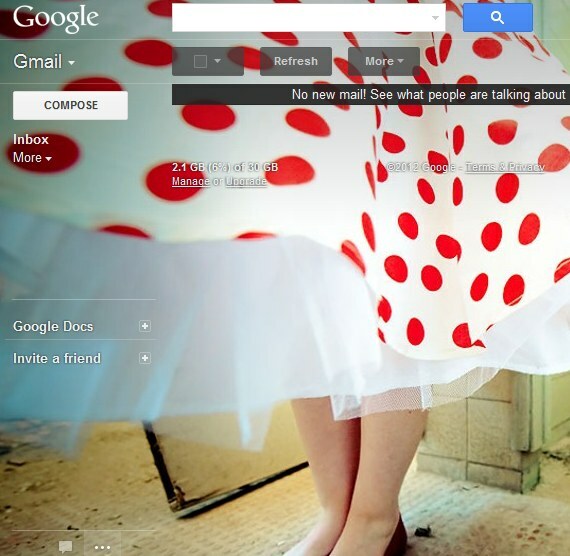 Hopefully, Google will add this great interface to the desktop. Speaking of feature requests, Google should let you open image search results in a new tab when you use the tablet interface. 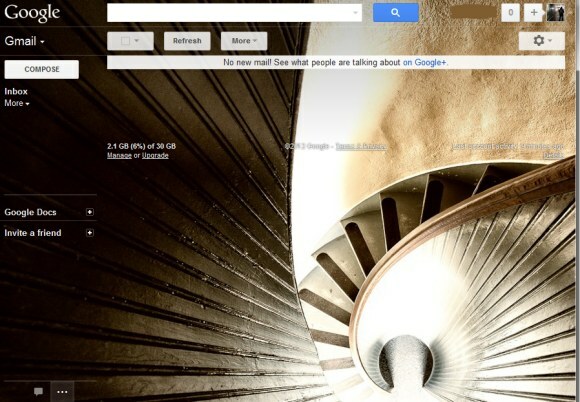 Google tests a new search interface that replaces the left sidebar with a horizontal menu. Search tools are hidden by default, just like in the existing interface. It's interesting to notice that the experimental UI is inspired by the tablet UI. The list of specialized search engines is placed below the search box, so it's likely that more people will notice it. 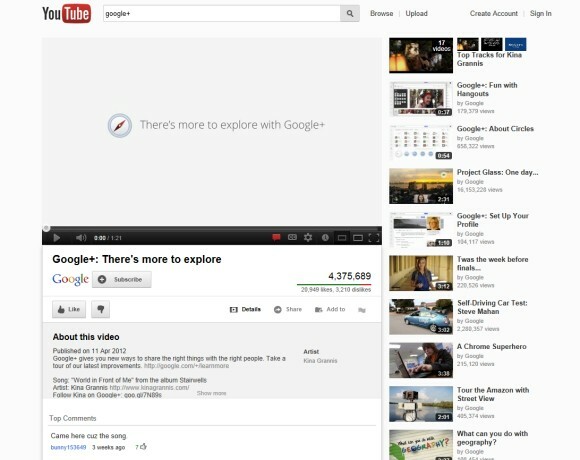 YouTube experiments with a new design of the homepage. 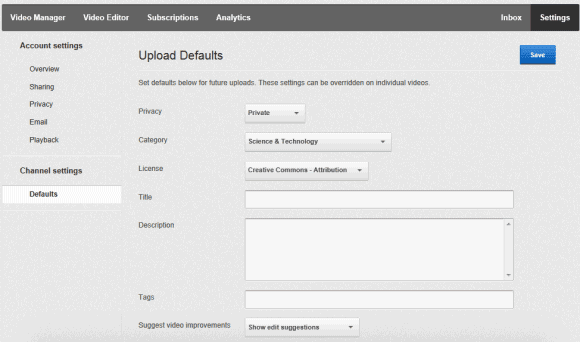 The left sidebar now lists all your subscriptions and you can see the number of recent videos from each subscription. There's also a search box that lets you find a subscription. The sidebar no longer includes popular YouTube categories and the suggested channels are displayed below your subscriptions in the scrolling list. Another change is that the videos from your feed take up a lot more space because the thumbnails are bigger. 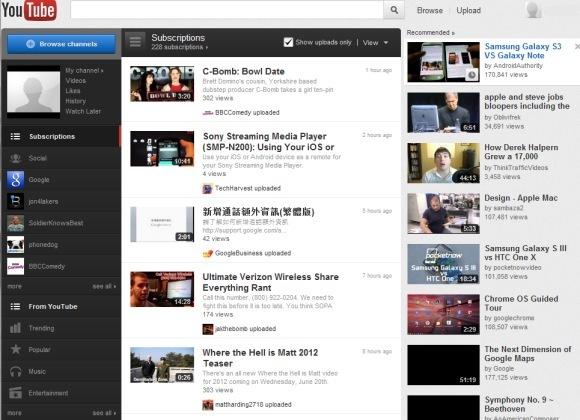 The new interface lets you hide videos from the feed, a feature that used to be available in the previous YouTube UIs. 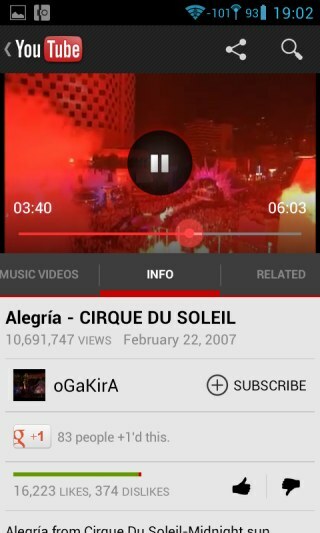 YouTube also shows a small "watched" label over the thumbnail after playing a video. There are many improvements in Google's experiment, but the information density is pretty low and you have to keep scrolling down to see more videos. A few weeks ago, Samsung released the new Chromebook and Chromebox, a small desktop PC that runs Chrome OS. The new Chromebook focused on performance and, even though it's more expensive, it's no longer a netbook. It's almost an ultrabook. Instead of using an Intel Atom N570 processor with really poor integrated graphics, the new Samsung Chromebook 550 uses an Intel Celeron 867 processor with much better graphics. From an Atom CPU to a Sandy Bridge CULV processor, there's an important step up. Intel Celeron 867 is a low-end processor that lacks many features that are available in Core i3/i5/i7, but it's 3 times as fast as the old CPU (according to Google). The new Chromebook doesn't meet Intel's requirements to be called an ultrabook, but it's almost there. It has an Intel Core CULV CPU, the height is 20 mm instead of 18 mm and the battery life is more than 5 hours (it's actually 6 hours). The old Chromebook was pretty expensive for a netbook, but the new one is cheap for an almost-ultrabook that actually has a matte screen, a great keyboard, a powerful touchpad, it boots almost instantly and is not hindered by an operating system that gets in the way. Now that Chrome OS has a more familiar interface and Chrome can run native apps, the new Chrome devices could gain more traction. Apple showed that a great interface can change the way you use a mobile phone, but Android's team didn't take this seriously until ICS. Android has never been about multitouch interfaces, intuitive apps, polished and refined user experience. Google spent a lot of time adding new features, powerful APIs, improving Android's performance, but the interface wasn't a priority. OEMs created their own interfaces, but something was missing. Ice Cream Sandwich changed everything because it finally added the "soul" to the machine. The interface is consistent, there's a coherent design language that connects so many disjointed pieces and makes using an Android phone a pleasant experience. ICS is great because it removed Android's rough edges, it brought hardware acceleration, fluid and responsive interfaces that make you use the device more often. Matias Duarte and his team certainly deserve the Gold prize for best system experience received at the 2012 User Experience Awards. ICS is not just "a major user experience step in Android's evolution", it's actually Android redefined. Google has a new interface and a name for the Hot Trends feature: it's now called Hot Searches, it includes fewer searches and fewer links to relevant news articles. "Hot Searches has gotten a refresh that makes the list of searches more visual, groups related rising search terms together and lets you see more information about those searches," explains Google. 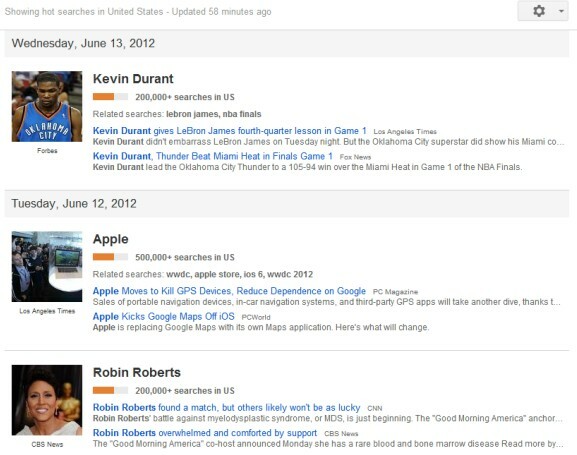 For the first time, Google shows an estimation for the number of searches, so we can find out that more than 500,000 people searched for [Apple] yesterday in the US. For some reason, Hot Searches doesn't integrate with Google Trends and Google shows thumbnails from news articles instead of charts. The next version of Apple's iOS includes a new maps app that's no longer powered by Google Maps. Apple now uses data from TomTom, OpenStreetMap, Yelp to provide a more comprehensive experience that rivals the Android app for Google Maps. Apple Maps offers turn-by-turn directions, Siri integration, local business reviews from Yelp, "flyover" 3D maps. Flyover lets you "see major metro areas from the air with photo-realistic, interactive 3D views" and it's a clever combination of Google Earth and Street View. 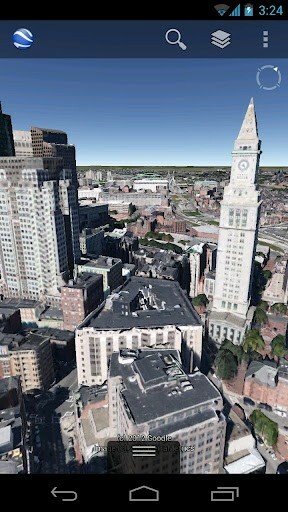 Last year, Apple acquired C3 Technologies and used its technology for the 3D maps. Obviously, Apple's new maps app no longer includes Street View, Google Transit, Google's comprehensive maps and local search and many users will miss these features. Google will lose a significant amount of mobile traffic and an important data source for Google Maps, but it will be able to release a much better Google Maps app, assuming that Apple approves it. After all, Google Maps is one of the best apps for Android and Google has constantly added new features, while Apple's maps app hasn't improved too much.